The Old Hotel was built to service the Virginia Creeper train that ran through the town between 1915 and 1977. The warm and comfortable atmosphere at The Hotel Tavern gives the guests the sense of history and community while taking casual fare, including burgers, pizzas, sandwiches, salads, pasta, fresh seafood, steaks and more, to a new level of creativity and quality. The Hotel Tavern is committed to using locally sourced ingredients as much as possible. Most of their greens come from several different area farms, they get their lettuce from a local hydroponic grower, and they carry local beer and wine. They also feature locally made Ashe County cheese in many of their dishes and as well as locally infused olive oils. In addition, they have featured locally made sausages and acquire many seasonal fruits and vegetables at the local Farmer’s Market. 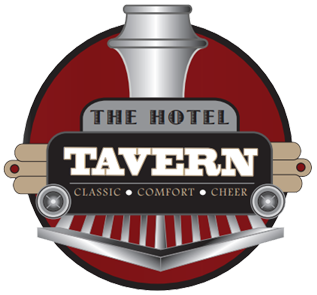 Whether enjoying a meal in one of their dining rooms, having a drink at the full service bar or celebrating great weather on the outdoor patio, the Hotel Tavern is sure to provide a memorable experience.